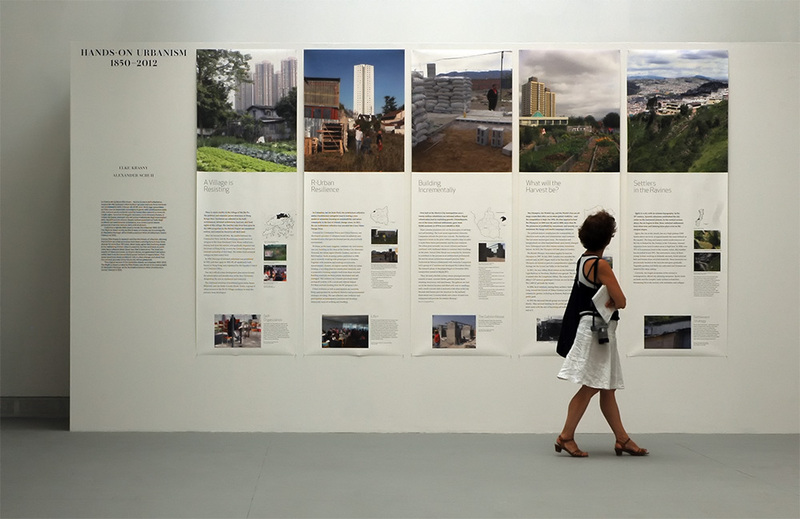 The exhibition Hands on Urbanism presents a series of contemporay and historical examples of ways in which cities worldwide have been dealing with landscapes in urban space. The basis of the exhibition are conversations with architects, artists, activists, researchers and intellectuals in Athens, Belgrade, Istanbul, Rome and Vienna. The cities’ distinct qualities, their architecture and their monuments, and the two terms of the Orient and the East triggered the dialogical exchanges. Exhibitions of architecture are at once discursive and aesthetic operations. 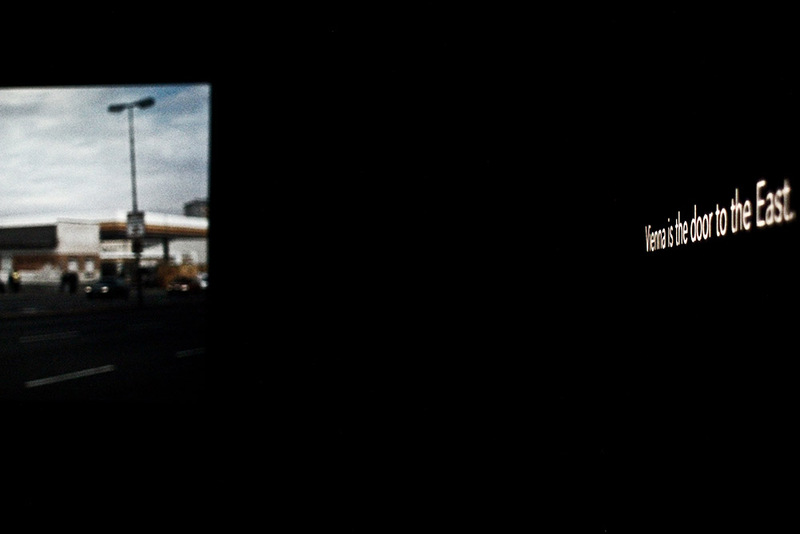 As an aesthetic format, exhibitions are temporary and short-term. 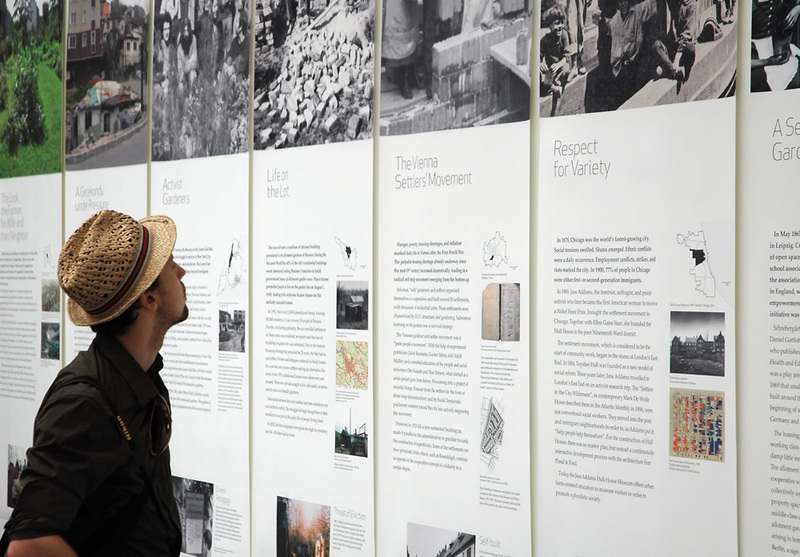 As a discursive exploration, exhibitions shape the making of architectural history, and equally important, contribute to the general understanding and the theorization of the field in its current discussions. Where then do we find architecture exhibited? A categorization reveals the large number of venues and their inherently different logics. We find architecture exhibited, or on display, in the long history of World Fairs and the comparatively short history, with specific regard to architecture, of Biennales. Architecture exhibitions are on show in specialized architectural museums, but also in city museums, museums of technology, and increasingly in museums of contemporary art. 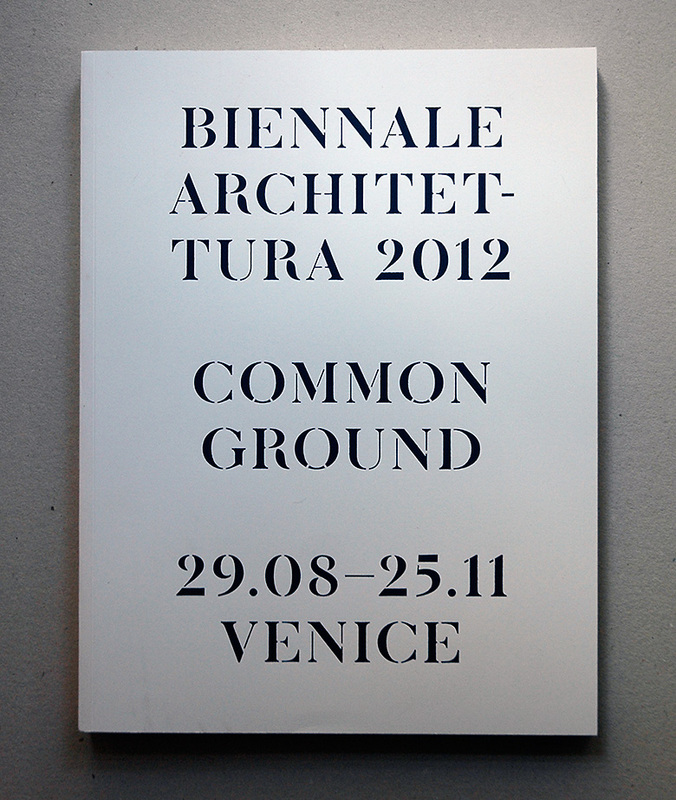 Architecture is exhibited to the public as part of large design competitions and on the walls of architecture schools. 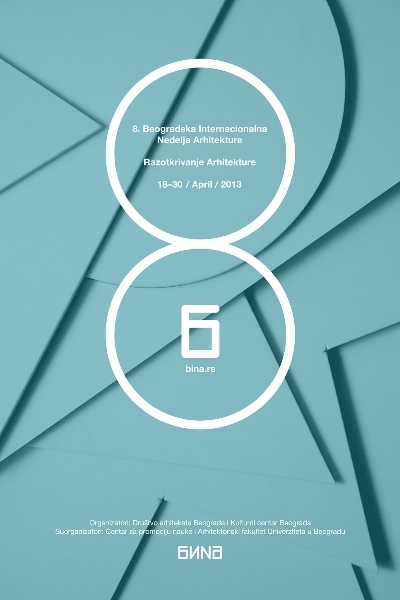 But is it actually architecture that is exhibited in these formats and venues? Or is it a challenge for both architects and curators to develop forms which architecture can take on in its exhibited state? In this lecture, Elke will draw both on historic and contemporary references of exhibited architecture raising the question of how this process of curated communication is situated in-between architecture and the public. 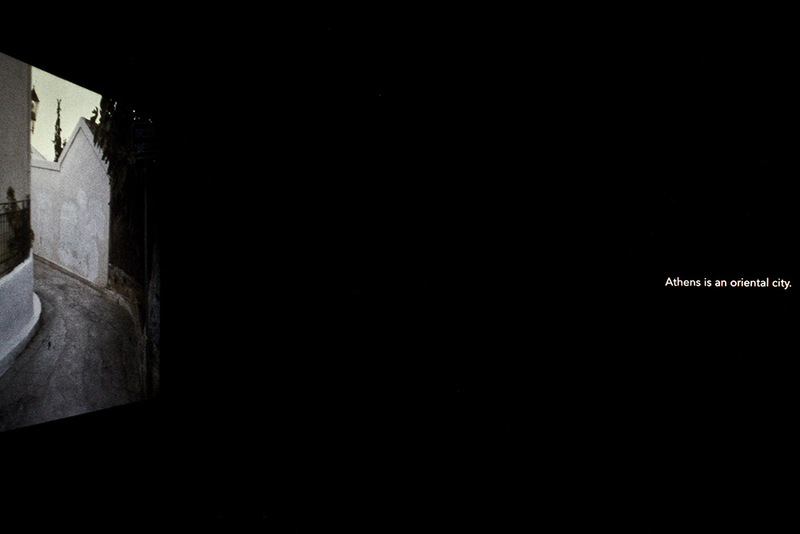 In the examples given Elke will show examples of her own work, specifically the research for “The Force is in the Mind. 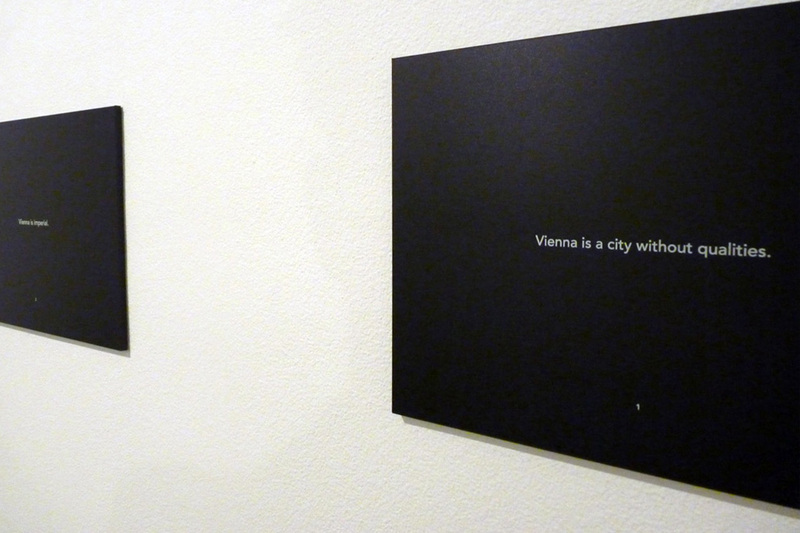 The Making of Architecture” (Architecture Centre Vienna 2008) and “Penser Tout Haut. Faire l’Architecture” (Centre de Design, UQAM, Montréal). She will reflect on her own practice as a curator of architecture and urbanism to give an opportunity to discuss, what Elke would call, the conversational turn in curating and ways in which knowledge is produced actively in dialogue with others. Exhibitions are sites of exchange that require curators to (re)think and (re)shape the processes of knowledge production in dialogue with the architecture, and most importantly the architects. In 1911 Le Corbusier made a reversed ‘Grand Tour’ to the Orient. Starting out in Berlin he travelled to Prague, Vienna, Budapest, Belgrade, Bucharest, Istanbul, Athens, Napels, Rome and back home to La Chaux-de Fonds. The English translation turned his Voyage d’Orient intoThe Journey to the East. 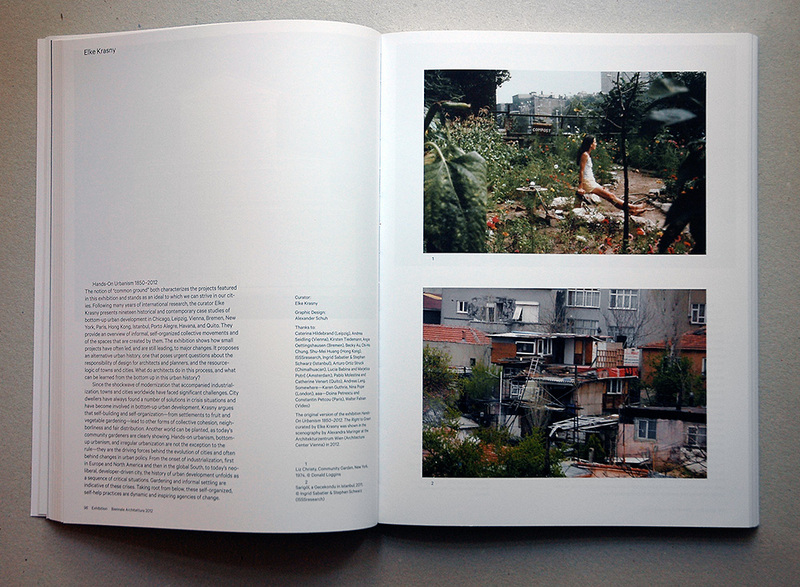 In 2011 Elke Krasny (AT) and David Bergé (BE) travelled to Athens, Belgrade, Istanbul, Rome and Vienna and had conversations with local activists, architects, artists and intellectuals focusing on the urban characteristics and transformation, on monuments and the ideologically loaded terms East and the Orient. 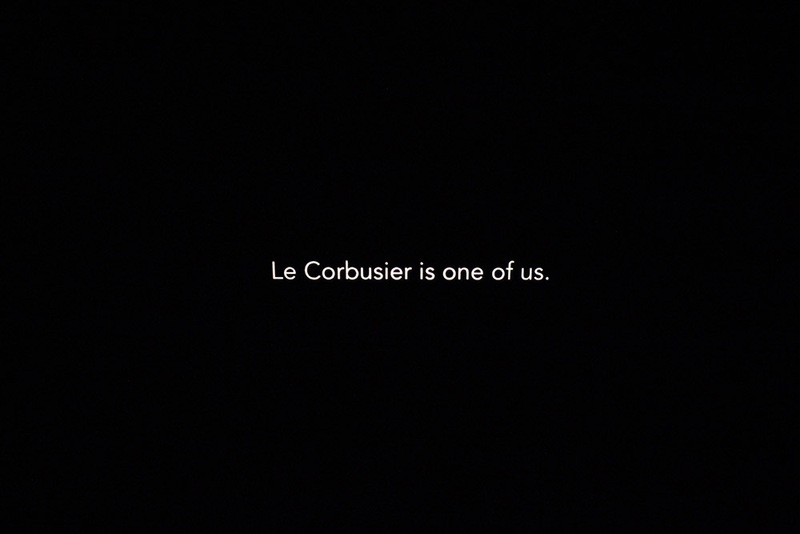 Le Corbusier’s voyage reORIENTed 1911-2011, follows these narratives: Elke Krasny composed a multivoiced text-based installation and David Bergé a photographic exploration, aiming to capture transitional contemporary urbanities in a complex dialogue between text and image. 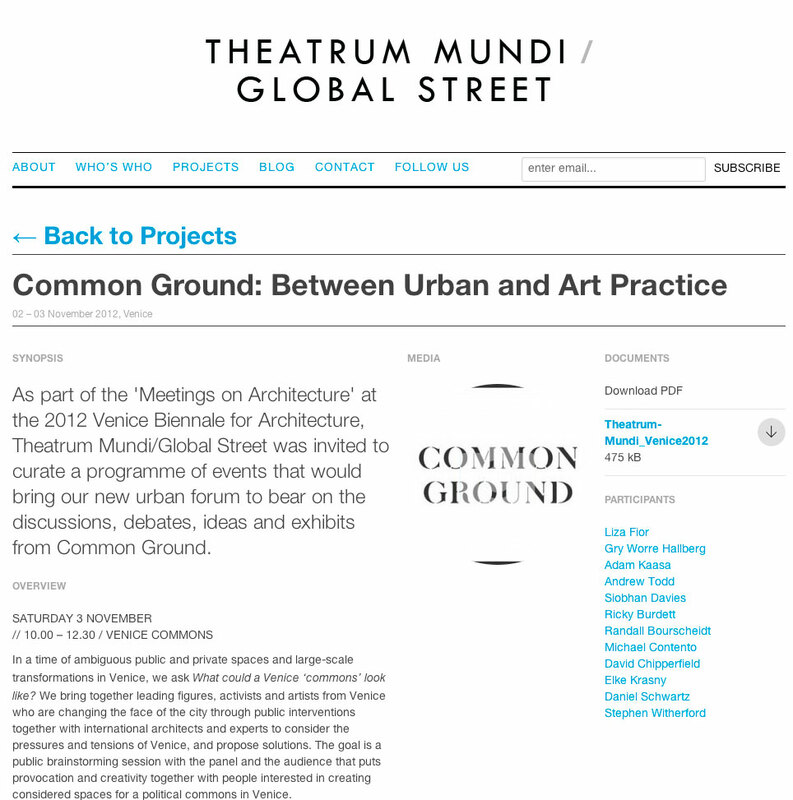 2012, Saturday 3 November // As part of the ‘Meetings on Architecture’ at the 2012 Venice Biennale for Architecture, Theatrum Mundi/Global Street was invited to curate a programme of events that would bring our new urban forum to bear on the discussions, debates, ideas and exhibits from ​Common Ground.